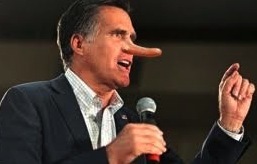 One thing that appears to define Mitt Romney’s, and now together with Paul Ryan’s, campaign for the White House, is that when they are a called out on their numerous draconian policy proposals they will either lie, run from it or flip-flop. The most recent example of this is the Romney-Ryan outrageous claim that it is President Obama that is cutting Medicare, not them. With this biggest of lies, one can’t imagine a room on this planet that can contain Rominocchio and his growing nose. In attempt to deflect attacks and confuse voters, the Romney-Ryan is boldly stating that to pay for Obamacare, President Obama cut $700 billion from Medicare. And while it is true that Obama made these cuts, what Romney-Ryan are refusing to reveal is that these cuts are coming solely from the healthcare industry, healthcare providers and drug companies in an effort to keep overall costs down and to help cut the deficit. None of the Obama cuts will in anyway impact or be passed on to Medicare recipients. ABCNews.com fact-checked an earlier claim by Romney and found a Kaiser Family Health report that said the government will reduce Medicare spending, but won’t cut benefits. Kaiser said they expect Medicare spending to decrease because Obama’s Affordable Care Act will reduce fraud and overpayments to private insurers. 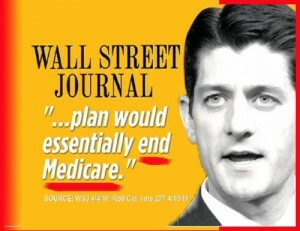 However, the Medicare plan under Republican presidential candidate Mitt Romney and his running mate Rep. Paul Ryan will end Medicare care as we know it and will increase seniors health costs by $6,350 a year. 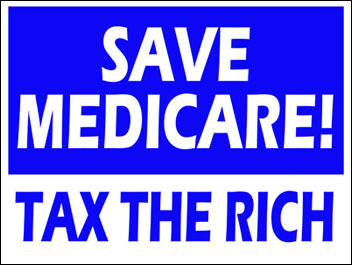 The Romney-Ryan plan demonstrates their commitment to defending the interests of corporate America and the super rich, by protecting the healthcare and drug industry and putting the entire burden of their $700 billion Medicare cuts on seniors. The Romney-Ryan Medicare voucher plan to pay competing private insurance companies will shift the risk and increased costs for care from Medicare to the patient. Some patients would have to choose between paying for better coverage and having more money for food and other items. If the bill for the hospital turns out to be much higher than expected, and the Medicare client had opted for a larger cost-sharing plan in exchange for not paying for wider coverage, they will face much bigger bills. Judy Feder, a professor of public policy at Georgetown University, warned that competition among private companies is also problematic to Medicare beneficiaries. Under the current Medicare system, costs and risks are pooled, lowering costs for the sick and raising them for the healthy. 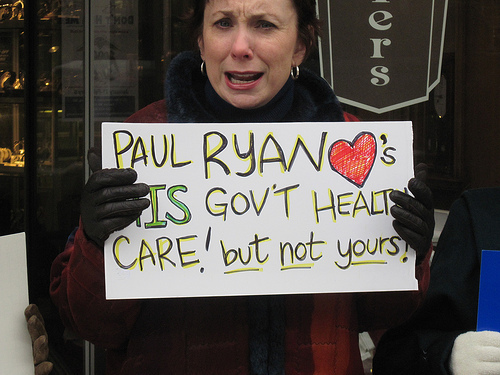 Under Romney-Ryan’s plan, private insurers will favor healthy individuals, who will favor cheaper private plans, so it could force sick beneficiaries to choose the Medicare option as a last resort, she said. “What that does is separate the healthy from the sick,” she said, adding that if those sick people are forced to choose Medicare, it will become more expensive for them because the program would be overwhelmed with sick, costly patients. Feder said she is also concerned Romney-Ryan’s vouchers would be limited to an arbitrary rate of growth, meaning that if they can’t keep up with heath care costs, Medicare beneficiaries will have to pay the difference. For voters, especially seniors, the choice could not be clearer.